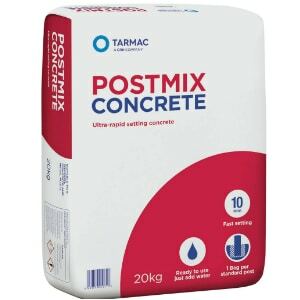 Our Post Mix is ideal when erecting all types of wooden and concrete posts as it is ready to use straight from the bag. It is designed to produce a high strength concrete, setting in under 10 minutes in normal weather conditions. 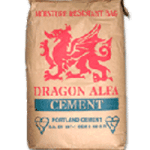 Our concrete Post Mix is ideal when erecting all types of wooden and concrete posts as it is ready to use straight from the bag. It is designed to produce a high strength concrete, setting in under 10 minutes in normal weather conditions. It can also be used for other types of construction in your outdoor areas such as shed base, helping to produce a sturdier foundation. One of the greatest advantages of this postmix is that it’s quick-dry. Under normal weather, that is not too humid, nor too dry, it takes only 10 minutes to dry. Granted, you will have to leave it to dry for a long time before using it – particularly if it’s a swing or something that is put pressure on. The formula was made to be easily blended, without any stubborn bulks forming. In just a few moments, you will get the consistency of a paste that you can use to create your base. Once it has dried, the surface will be flat – and will ensure that your posts stay secure for a very long time. It doesn’t matter if you use it for swings or fences; if the base is designed correctly, the concrete will hold.